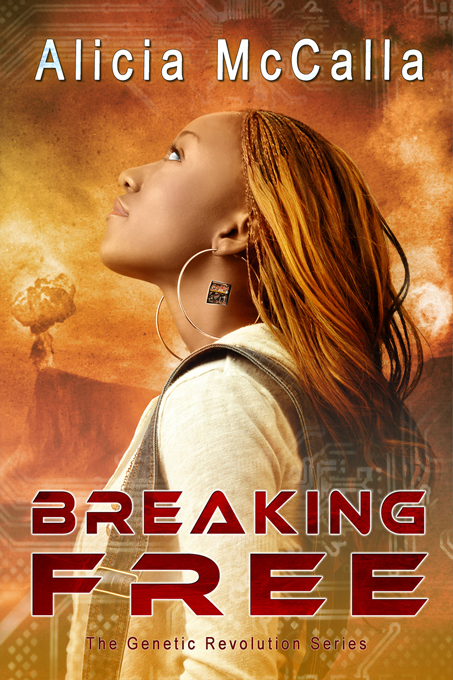 Alicia McCalla, whose book Breaking Free will come out in two weeks, is part of a 7-week online discussion about black science fiction with several science fiction authors on her website. As part of the black history month celebration, each week McCalla will provide a question for everyone to respond. Akin to the age-old chicken or egg mystery, most people probably logically assume that science came first, with science-fiction following. The term science fiction is relatively young, coined circa 1850. This happened not very long after the establishment of modern-day Western science in the 17th century as an institution separate and distinct from philosophical thought. Like science, science-fiction is a field that is dominated by white male writers, artists, and filmmakers in the mainstream representation, and as such, the narratives told tend to reflect the white male privilege and perspective. Despite the fact that sci-fi writers have been able to successfully conceive of novel technologies, map out the future of humanity, and envision new worlds in science fictional narratives, traditional sci-fi has, on the whole, failed to transcend the social hierarchy, supremacy, and privilege that plague our present-day realities. Because of this failure, traditional sci-fi only serves to reinforce time-honored modern-day narratives of white superiority over the rest of the colorful world. In a traditional science fictional world, people of color are non-existent, typecast or stereotyped, or play exceptionally minor roles, seemingly due to inferior genetics and our inability to adapt to social and environmental conditions. This actually makes a lot of sense to me, given that sci-fi as a genre and even the institution of science itself emerged smack dab in the middle of the period of modern-day African enslavement. It is here that we see science used as a justification for racism and subjugation of people of color. It would only make sense for the scifi genre to reflect, and to continue to reflect, the views and social realities of the dominant group, much in the way that history favors the storyteller.